Westfield Woden’s car parks are moving to a ticketless system using licence plate recognition. Images: Supplied. Ticketless parking is coming to Westfield Woden’s car parks, with entry boom gates to be removed, and new automatic pay machines and licence plate recognition technology installed. Owner Scentre Group has lodged a development application for works to provide the new parking system at car parks within and around the shopping centre, including the multi-level facilities on Bradley Street and the basement car park. The proposal includes 11 new or amended entry/exits, including removal of boom gates and installation of LPR camera systems, changes to signage and kerbs, installation of automatic pay machines, and car park office within the basement level. The subject blocks in Phillip are located between Corinna Street, Callam Street, Neptune Street and Bradley Street within the Woden Town Centre, and there will be a gain of four parking spaces. 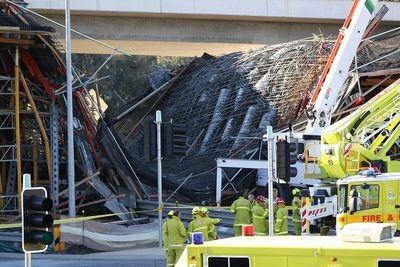 The system will be the same that has been operating for some time at Westfield Belconnen where licence plate recognition technology is used to replace paper tickets. 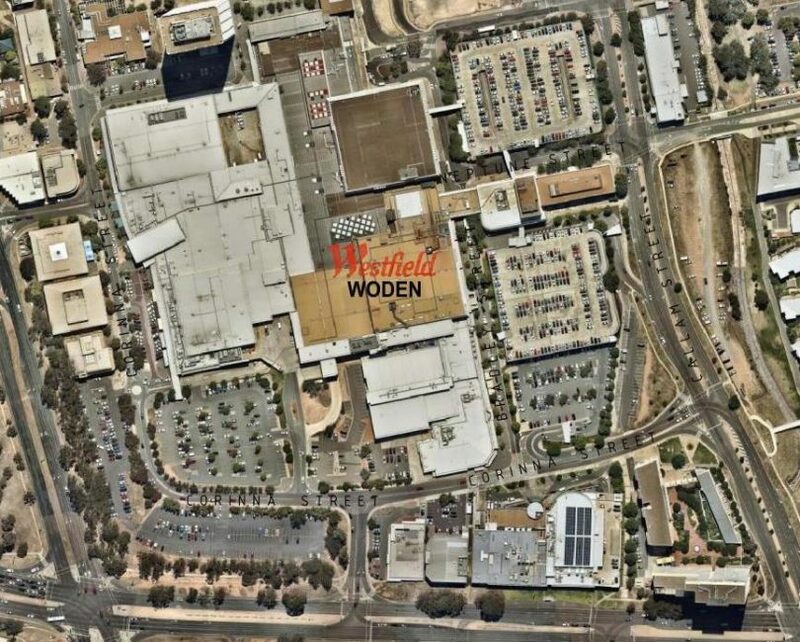 The Westfield Woden precinct. Yellow highlights the subject blocks. 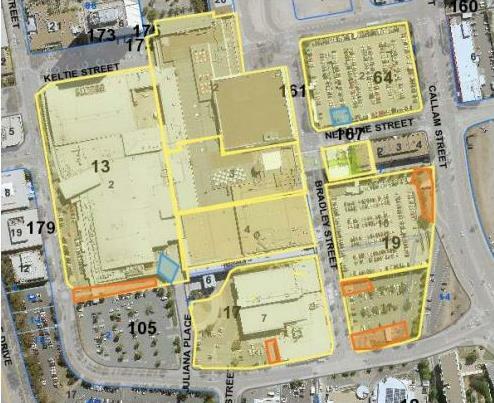 Orange the area of proposed entry/exit works requiring a DA. Blue highlights the areas of proposed entry/exit works which do require a DA. Automatic pay machines are not shown as they are all internal. Westfield says it means less congestion, and easier entry and exit, without having to bother with paper tickets. At Westfield Belconnen, there is no ticket or gate on entry to the centre’s carparks. If you stay under two hours, you can go straight to the exit where your licence plate will be recognised and the boom gate will lift automatically. If you stay over two hours and register for Ticketless Parking the boom gate will automatically open upon exit, and any parking fees will be automatically deducted from your credit or debit card. You are able to update your vehicle or credit card details at any time. If you are not registered for Ticketless Parking and you stay over two hours, you can pay at any of the pay stations near the centre entrances. I will be in interested to see if it makes the exit from the underground towards the Neptune Street roundabout any easier. At the moment traffic tends to get a bit of a tail back on the ramp, thus challenging a few who still drive vehicles with a manual clutch. Probably also torture on those duel clutch automatics also – just today I noticed someone waiting at the bottom for the ramp to be clear. Nope, no problem at all with a dual-clutch auto. Any car or driver that couldn’t cope with that modest incline shouldn’t be on the road. Similarly, I suppose it’s only a challenge for manual drivers if they’re not up to driving a manual in the first place; hill starts are part and parcel of the skill set. Re the argument about licence plates and registration etc., this is just another example of metrolingualism, that being the creative linguistic practices across borders of culture, history and politics. I know it doesn't happen all the time... But.... The other day I had to change my "Rego" to ACT (from Victoria). I did get some strange looks from people in the car park as I was unscrewing my old plates, but under this new system, how would I have exited the carpark? Caleb Diamond welcome to the future! It’s about time. Over the years I’ve experienced the many quirks of the current system by Skidata, which sounds very much like the Greek word skata which means sh*t. Tickets being spat out, the rollers running in reverse and not accepting the ticket, having to get on the intercom and the drivers behind looking daggers. Quite often Westfield have given up in frustration opening the gates and letting everybody park for free. The system at Belco works well but a few times I’ve had to reverse or move forward a bit before my plate is recognised and the gate opens. The surprising thing is that Woden has been left to limp along with tickets for so long and it wasn’t installed at the same time as Belco. Belconnen was installed to keep the public servants out. See with number plate recognition you cannot leave and come back and start the clock again. I don’t think Woden had quite the same “problem” as Belconnen did in this regard and to overall capacity. Belconnen is shocking for parking with many more living in the area and less parking. Deb Robinson so we were talking about this today.... get your boom gate fun in now! They have this at Southland in Melbourne, doesn’t always work and recently the power went out and no one could leave any of the car parks - kaos. Also be wary getting close to the two hours point. Tried to check the machine to find out how much time I had left and it didn’t recognise my number plate. Did that on three separate occasions. If you have already paid and the boom gates don’t open, press the help button. If you are charged twice, you can take a copy of your credit statement to the concierge and talk to them about a refund.